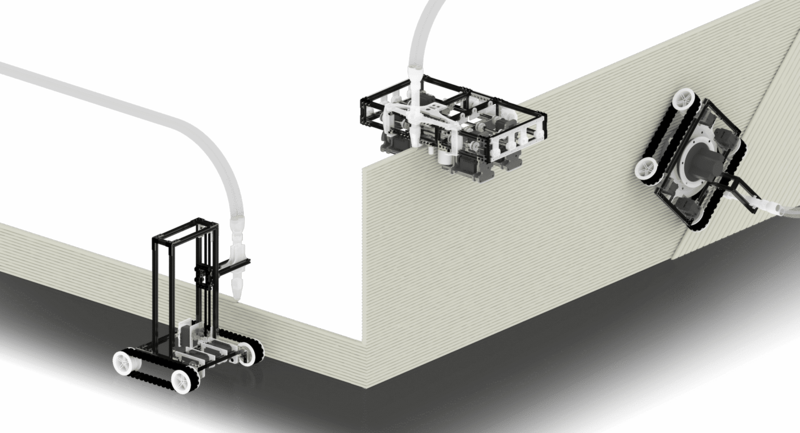 Minibuilders takes 3D printing on a large scale to a new level. There has always been a close relationship between advances in technology and the development of architecture. However, the construction industry has been slow to adopt technologies already well established in other fields. Robotics and additive manufacturing such as 3D printing offer great potential towards innovation, but are limited by their size. 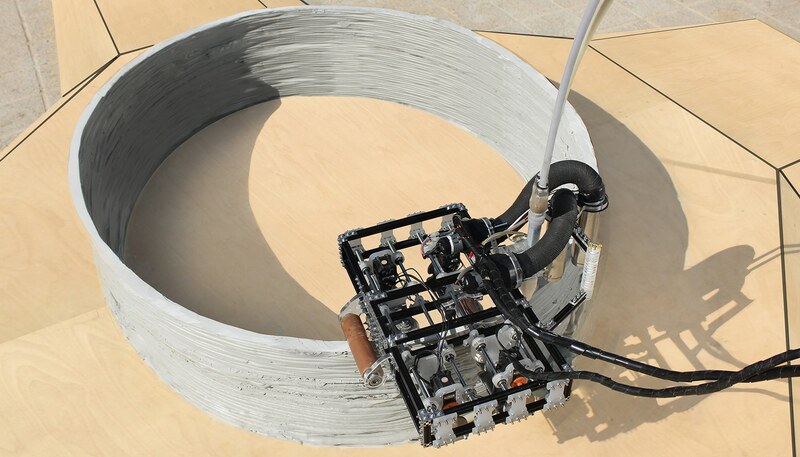 To create a full-sized house using current construction robotics, machines must be as big as the house itself. 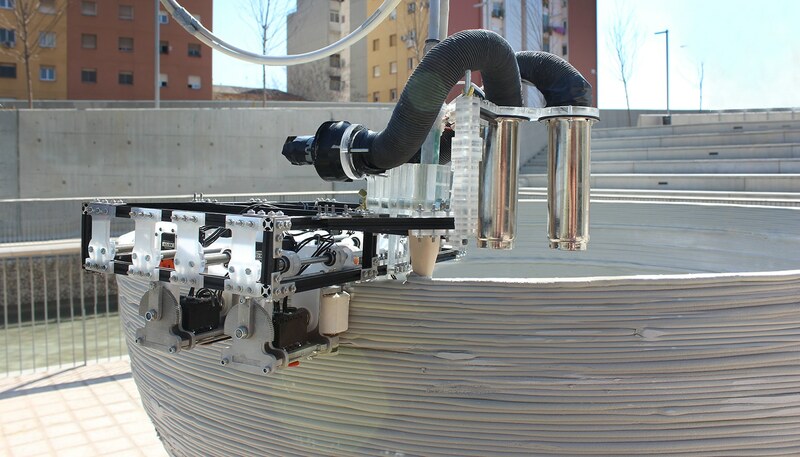 A team of researchers at the Institute for Advanced Architecture of Catalonia (IAAC) have developed Minibuilders using ‘swarm robotics’ – a family of small-scale construction robots working together – to construct objects far larger than the robot itself. Instead of one large machine, each individual robot works independently performing diverse tasks, as well as on a single structural outcome. Each robot is linked to sensors and a local positioning system. These feed live data into custom software that allows control of movement and printing of the material output (such as fast setting artificial marble) layer by layer in one continuous process. The largest of the ‘Supplier’, ‘Foundation’, ‘Grip’ and ‘Vacuum’ robots are just 42cm (16.5in) wide. This gets rid of a need for huge machines, allowing for direct on-site assembly of large structures through digital fabrication. The researchers have made their findings available for others to continue to improve on (open source). And others are adopting this technology on an even grander scale, such as building this base on the moon. The Institute for Advanced Architecture of Catalonia is an international centre for Education, Fabrication and Research dedicated to the development of architecture capable of meeting the worldwide challenges in constructing 21st century habitability. Tags: 3D printing, Construction, Housing, Open source, Robotics, Space.